That was the last throwaway comment in the merchandise round up of Doctor Who Magazine in December 1987 and the first inclination we had that Doctor Who figures were on the way. Gary was wrong about a few things: they wouldn't be 6 inches tall. They wouldn't be from Kenner. They weren't really like the Star Wars ones. But they were well over due! In the 60's there had been "Dalekmania" with all manner of Dalek toys taking over toyshops. 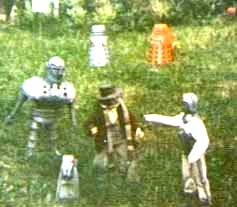 In the 70's Denys Fisher brought us some 9" figures of the Doctor (then Tom Baker), Leela, K-9 and a host of monsters to fight. In 1977, Star Wars appeared and set the precedent for toy merchandising. 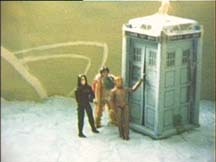 Every new film and TV series had a range of 3.75" action figures. Now in the 21st Century, with Doctor Who back on our screens and more popular than ever it seems hard to remember when there weren't figures to go with it. But now as we look ahead to a new year: one that will see the addition of classic action figures too (finally a Colin Baker figure!!!) let's cast our minds back twenty years to that sudden and unexpected appearance. With the benefit of twenty years experience it's easy to look back at the Dapol toys and say "Oh my god! What were they thinking?". 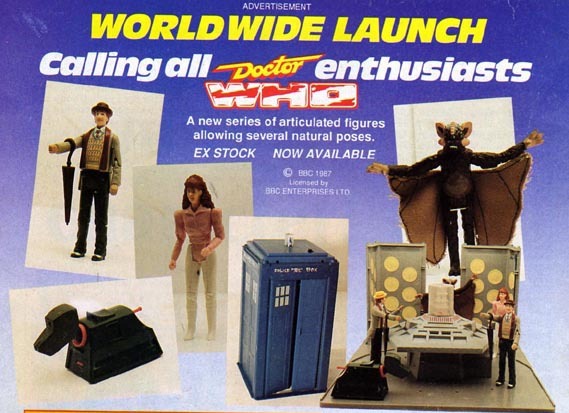 Their 'worldwide launch' ad is hardly the slick affair we would expect today with its half finished prototypes. 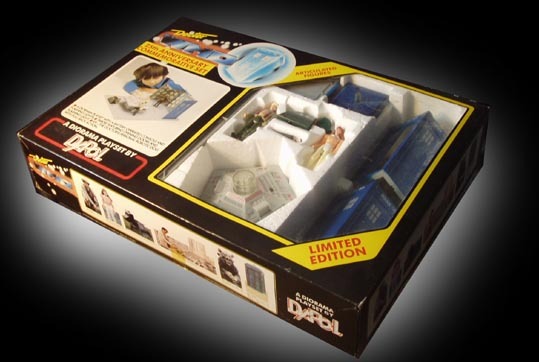 But to a young Doctor Who fan in 1988 it signified the fulfilment of a long held dream. Finally I could discard my makeshift cloth and paper customs in favour of the real characters! After years of cardboard Police Boxes, a real plastic one with opening doors and a flashing light. I sent for it immediately and after weeks of agonising delays it finally arrived..